How to Write a 500 Words Summary? 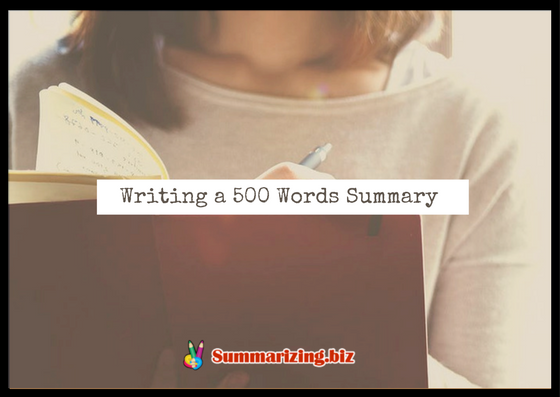 Writing a 500 words summary is a challenging task, but it would be easy by learning of the following tips, which will make the entire process smoother and easier for you. For some students, they also make use of an article summarizer service to help them accomplish the task. Whether you decide to do it manually or hiring the pros, check out this post for more about this type of summary. It is somewhat hard to write a 500 words summary of limited word count. Thus, you must be able to condense content and make sure that you’re not leaving behind any important details. The 500 words length summary is used to give vivid descriptions of the event, phenomenon or object details. Also, it can be used to present associations or compare things related to the same issue or topic being described. Introduction: The 500 word essay format need an introduction including the thesis statement, the main point of the article. Be sure to spend enough time in determining the main idea of the article to write a good summary. Body: In the 500 word essay format body, you need to keep a smooth flow. Offer only one main idea supported by relevant details for every paragraph. 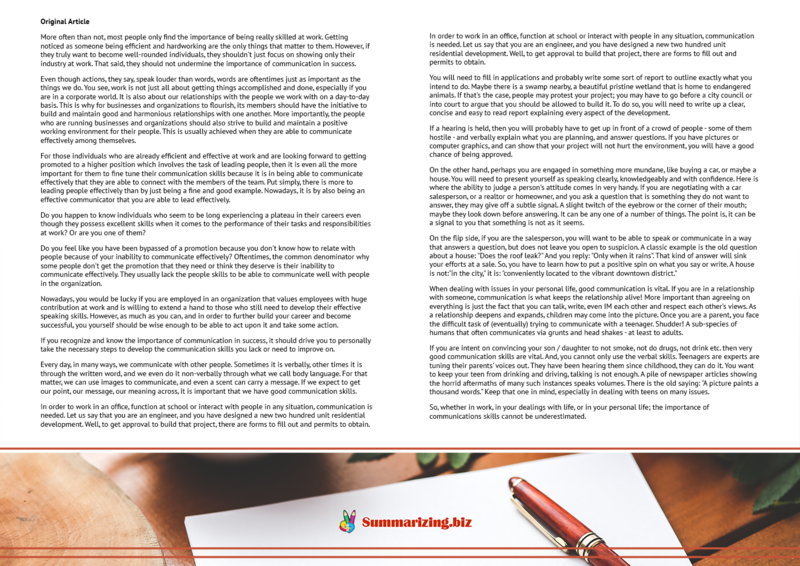 You must also write in an interesting manner to arouse of your readers using an original approach. The summary must include the most important arguments in the body, so make sure that you discuss only relevant while leaving the least important ones. Conclusion: In your article 500 words, close it with a fifty-word conclusion. Your conclusion should restate and summarize the notable ideas discussed in the body. It applies to all types of conclusions of essays, journals, and reports you’re writing. Struggling to keep your paper close to the given word limit? Try using our article shortener! Knowing how to write a 500 words research summary is important because it will guide you to make sure that you point out all essential details needed. Because you only need to write a 500-word research summary, be sure that the research paper relevant, focused and concise. 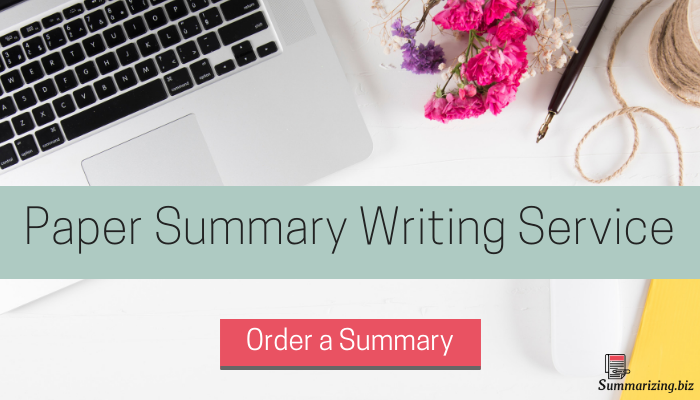 This will help you develop and write a concise summary statement and supporting details. Also, stay original to avoid plagiarism, one of the most common mistakes of students in writing the summary, like when using direct quotes that they do not enclose inside of quotation marks. You must also understand the entire point of the essay you’re reading. Perform a couple of readings until you understand the article thoroughly. In writing a fiction summary, make sure that you tell a story about the characters, including the protagonist. This is important to guide readers and introduce the characters to them. In writing the summary, be sure to have a clear idea of the conflict, what’s driving the conflict and ways that the protagonist fails or succeed in dealing with that conflict. You need to understand how the conflict is resolved and how the protagonist’s situation, both externally and internally, has changed. If you have covered these three things in writing the summary, then you will not have a hard time in writing it. You do not need to mention all the events or characters because you cannot summarize every chapter or every scene that is why you need to get the main ideas to summarize and explain. You can also do a summarizing practice before writing your summary. It will help you improve your skills. One way to do it is to ensure that you read and understand the source of information. 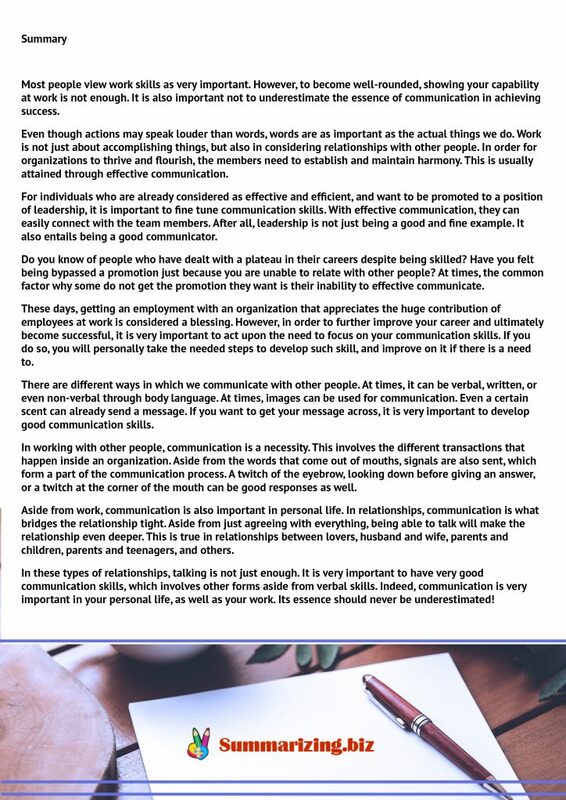 You must also be able to do a couple of readings to ensure that you won’t leave out important details later. Also, you must ask your professor about the required citation format. Even if you are summarizing, you must still provide the source of your information. It can be cited in the APA format. You can do in-text or footnote references style, but still, it will depend on the instruction of your professor. You must be clear on that. If you need help in writing an article 500 words summary, then an online writing service can help. They have the experts who specialize in writing summaries of any fiction or non-fiction work. Hiring the service, you can have peace of mind that you’re dealing with the pros. Your assignment will be given to the expert specializing on the subject. The service is also guaranteed for timeliness, grammar accuracy and 100% plagiarism-free. Don’t think twice dealing with the experts for writing services, including article summaries because it is one of their specializations. Submit a stellar summary. Get help from us for 500 words summary today!